The INVENIO-S is perfectly prepared for the use in almost any application field and any industry. From basic QC/QA to analysis of demanding samples. Outstanding performance and design, intuitive OPUS-Touch graphical supported by a large touch screen - BRAVO is the dedicated handheld Raman solution that speeds up your material identification at a maximum. About the size of a lab book, the very small FT-IR spectrometer ALPHA will play a big part in your daily routine. 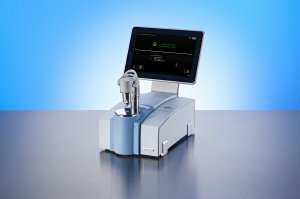 Plug & play set-up, easy-to-use software and QuickSnapTM sampling modules assure powerful and reliable FT-IR analysis you expect from Bruker. SENTERRA II is designed to deliver excellent sensitivity combined with high resolution and state-of-the-art imaging performance. Therefore, the SENTERRA II is the platform of choice for conducting the most challenging research. ... with our professional spectrometers and microscopes based on FTIR, NIR and Raman technology, you will see it too. 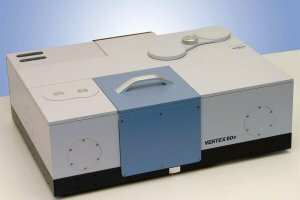 We are OPTIK INSTRUMENTS, the offical BRUKER Optics distributor for Czech Republic, Slovakia, Croatia and Slovenia. We are the official global NenoVision distributor.